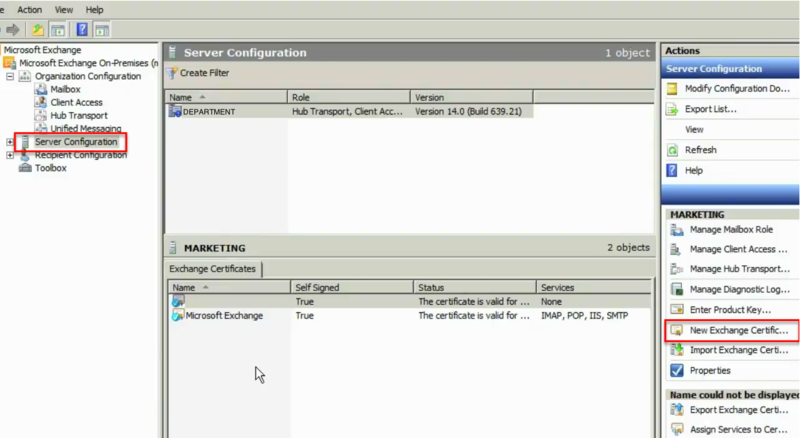 Click on ‘Server Configuration’ from the Exchange menu on the left, then ‘New Exchange Certificate’ from the list on the right. Select the services you will need secured on your exchange certificate and fill out appropriate Organization and Location info. 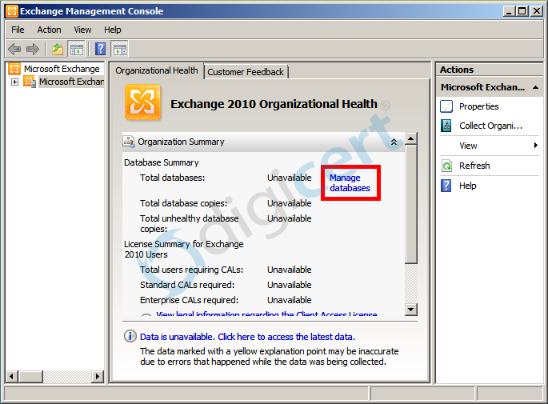 Save your CSR file somewhere convenient, and you are ready to take the CSR to request the certificate.